There are chances that you have never come across the term “climate controlled,” particularly if you have never used AAA storage. Climate controlled is a common concept to people who are familiar with AAA Storage. It refers to a heated and cooled storage space. Starters may be wondering how climate controlled is beneficial since they may have some storage units that don’t have “climate control.” Such storage units may not protect your valuable items from destructive weather elements such as the seasonal and dramatic temperature swings. The sudden changes in temperature are devastating and they can easily destroy some of your sensitive items. Some of the most vulnerable items include artwork, electronics, antiques and electronics. Climate controlled spaces feature effective air conditioning and heating systems that keep room temperature at consistent, moderate and safe levels. In addition, the systems reduce humidity in the storage spaces. 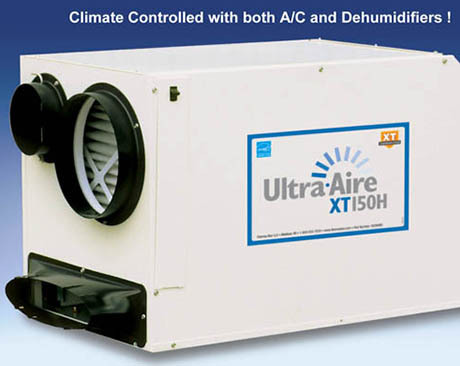 The climate controlled units maintain a given range of temperature to preserve and insulate your belongings. Some AAA Storage locations have commercial dehumidifiers and A/C units. This is very unique considering that there are no storage facilities that provide both units. The combination of the three systems ensures all your items are well protected against the common cause of spoilage and damage on stored items which include very low or high temperatures and rapid fluctuations of temperature and humidity in the air. Moreover, your individual comfort is ensured since you will be comfortable arranging and moving belongings in your unit, regardless of the temperature outside. At AAA storage, we are mainly concerned and interested in your needs to some up with a climate controlled space to ensure your belongings are protected. It is our pleasure to be your climate controlled specialists. We are committed to make your storage experience hassle-free and informative.